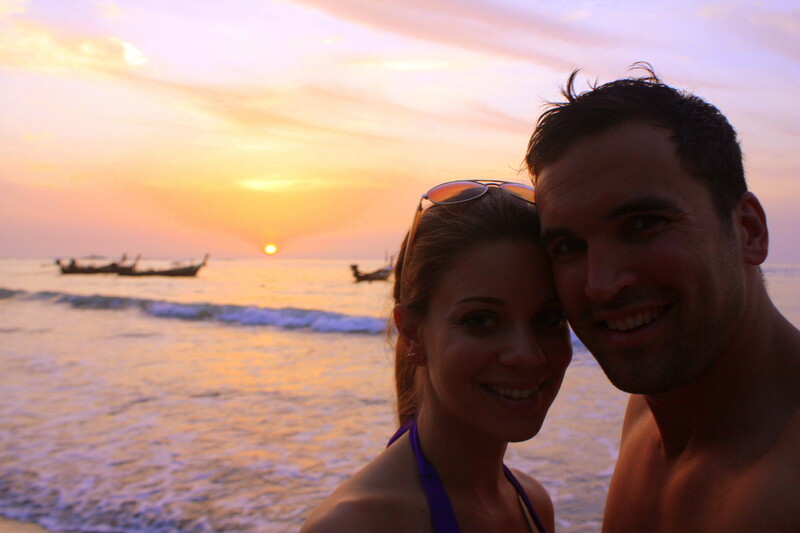 Travis and I finally made it to Thailand! We’ve been wanting to go forever and already had one failed attempt last February. 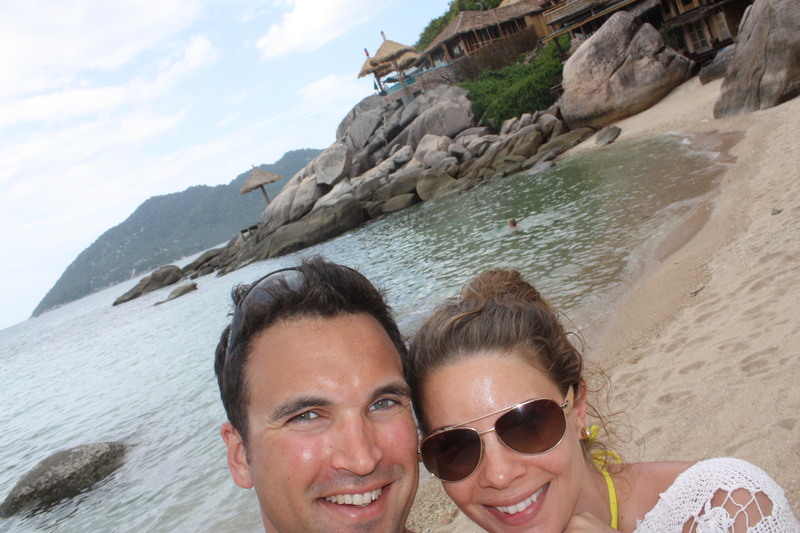 We took a risk going during monsoon season but wanted to get in a good babymoon before I’m too puffed up to travel. This was a risk that paid off nicely- cheaper hotel rates, fewer people on the beach, and best of all- 10 days of glorious SUNSHINE! Something we never see in Japan. 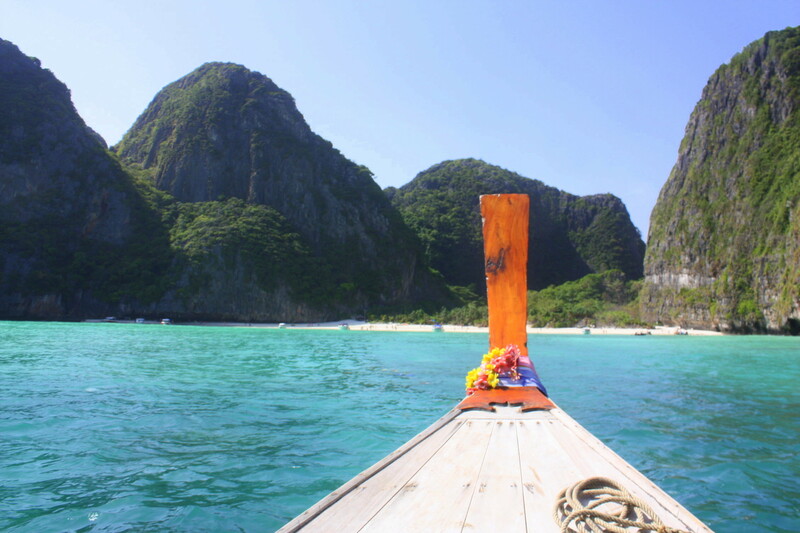 There are lots of potential places to visit in Thailand, but we decided on a tour of the most beautiful beaches in Phuket, Koh Phi Phi, and Koh Samui. 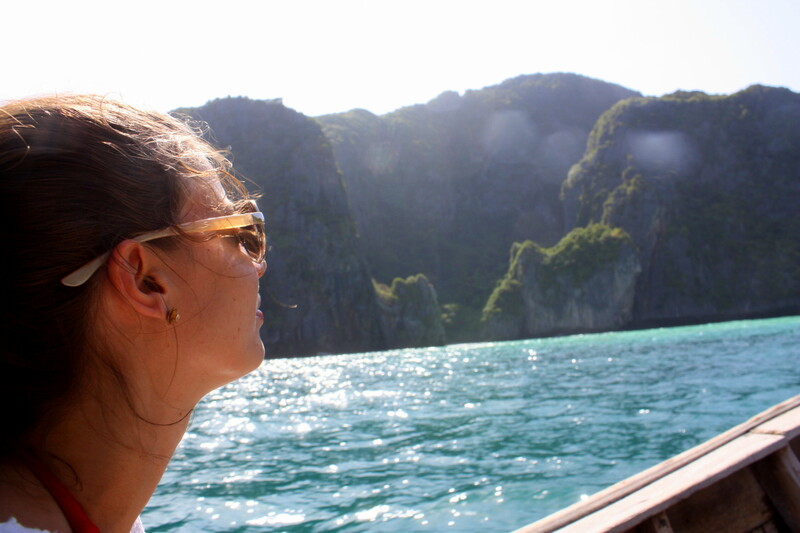 This was the most chill trip we’ve ever made- our pace was much slower than our usual adventurous frenzy hither and yon. To slow us down even more, Travis stepped on a sharp stick on the beach our second day, punching a deep hole in the arch of his foot so he limped the rest of the trip. Bless his heart– he didn’t complain but I know it was painful. By this time, my feet looked like braised biscuit dough, swelling up so big that I couldn’t squeeze into my flip flops! The swelling was followed by a really fun rash all over my hands and feet that can only be explained by pregnancy. 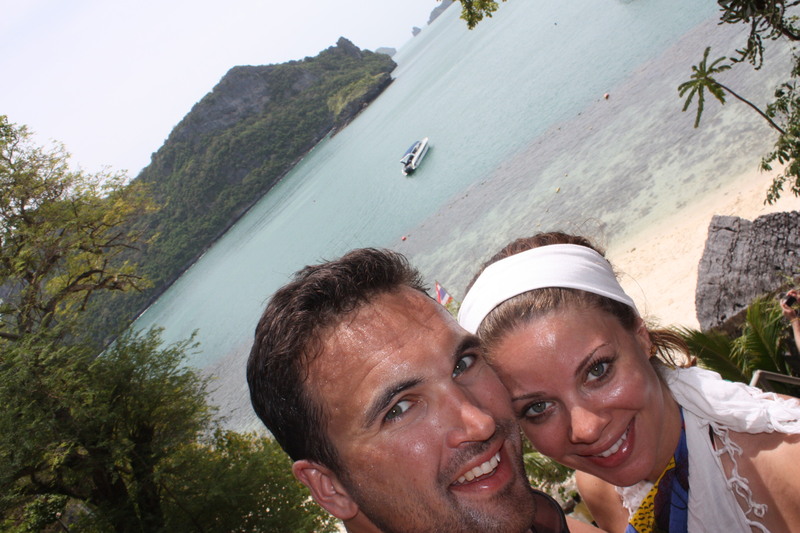 Needless to say, we were a pitiful pair and felt supremely old among all the skinny, tanned 20-nothing backpackers! So we didn’t mind lazing around most of the time, sipping fruity cocktails (mocktails for me), and playing our favorite travel game of “where are they from?” I ate my weight in fresh tropical fruit- another thing that’s hard to find in Japan! I had forgotten what a decent banana tastes like. mmmmm. Oh, and we both discovered that sometimes the mocktails, at least in Thailand, can be more delicious than the hard stuff. 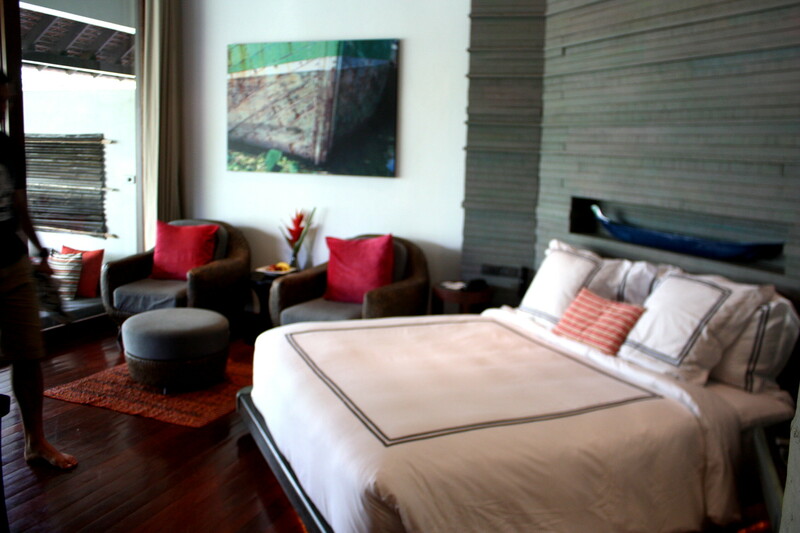 Our first stop was at the Indigo Pearl resort in Phuket, just minutes from the airport. It’s nestled on a beautiful, quiet beach, but what made this place so remarkable was the design. I don’t normally look up hotel designers, but every detail was so cool- I had to know who was responsible! His name is Bill Bensley, a Bangkok-based Californian architect and designer who Time Magazine calls the “King of exotic luxury resorts”. 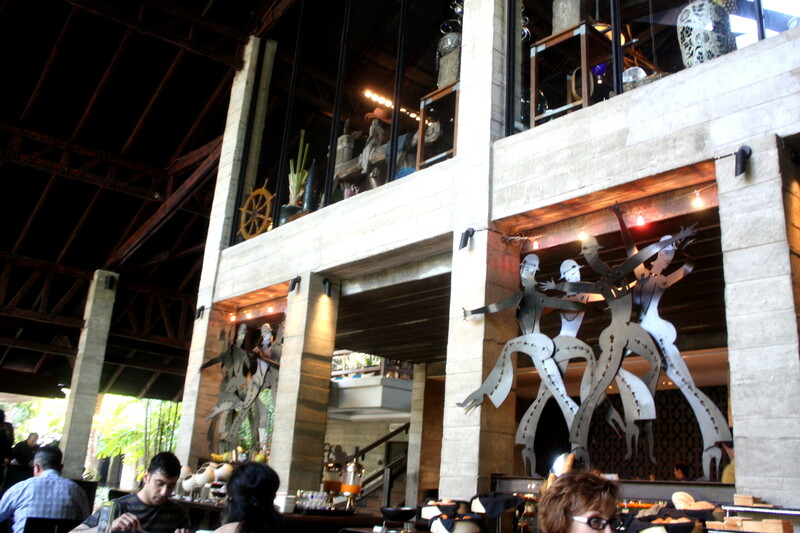 Inspired by the island’s tin-mining roots, the Indigo Pearl is all ‘industrial glam’ with beautiful contrasts- lots of blue gemstones, nuts & bolts, the “Rebar”, silverware in the shape of tools, rusted industrial flower sculptures, etc. The room exceeded our expectations. For the price we paid, I certainly didn’t expect a giant bathtub on our very own porch! 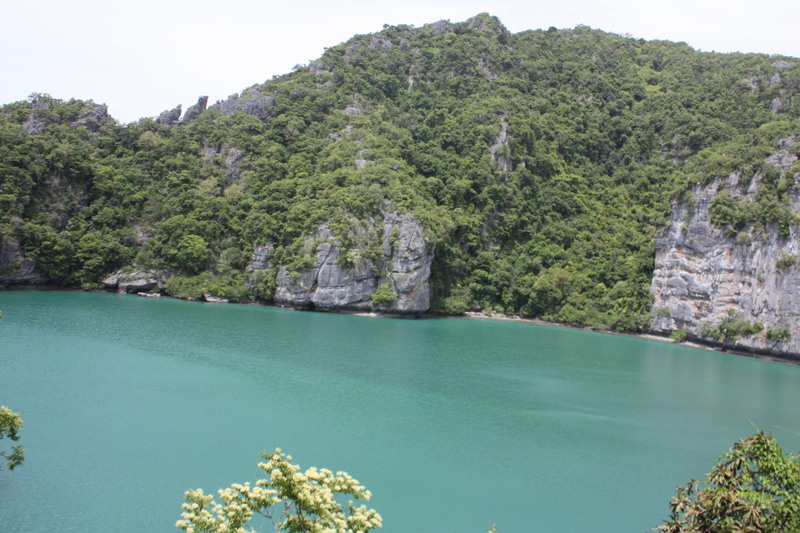 Phi Phi Leh- where The Beach was filmed. There are no hotels or infrastructure on this island- we did good getting there early. As we were leaving, Chinese tour boats were showing up in fleets! Back at the hotel, we had a delicious dinner but soon grew tired of the hotel’s “entertainment”- a slideshow with pictures of Thailand, accompanied by the Amazing Thailand theme song on repeat. 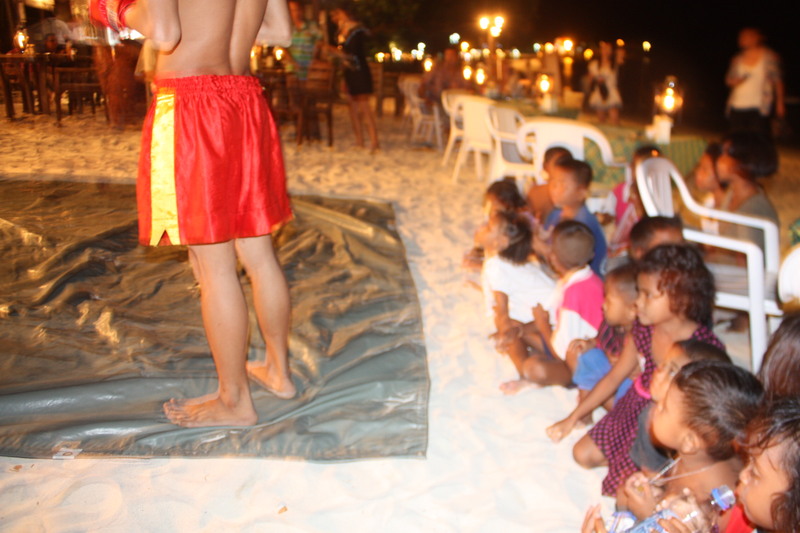 So the second night, we wandered up the beach in search of variety, and found a hilarious budget hotel’s “show” right on the beach, featuring a sequence of amateur acts with the General Manager as the emcee/choreographer (obviously his dream job), and members of the hotel staff as the singers and dancers. 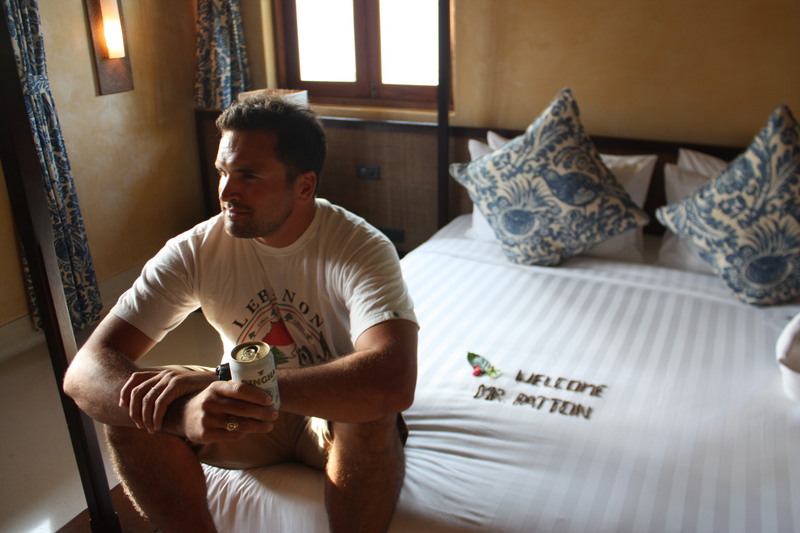 For those of you who know about my time in the UAE, this was the RAK Hotel (Klub 88) equivalent. Maybe the entertainment was not as talented but they were equally endearing. They tried so hard and were so proud! We stayed for the entire show. 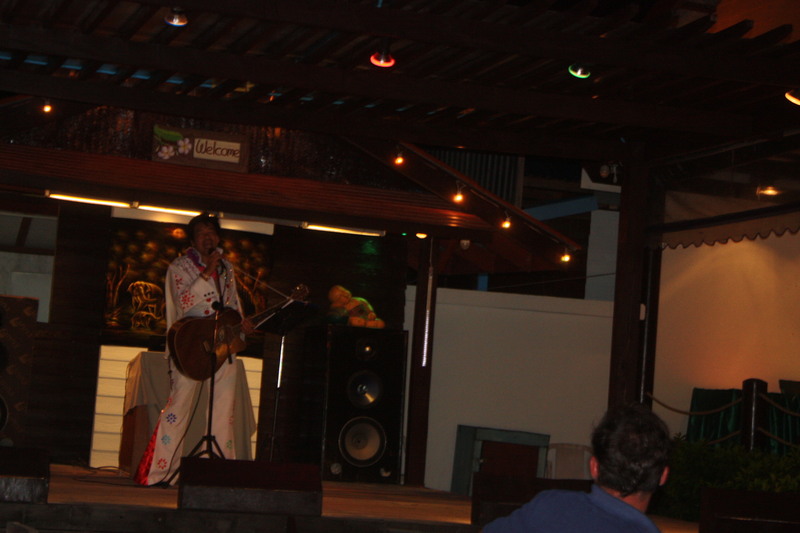 First act: a Thai Elvis impersonator. The Holiday Inn did not have that! Third Act: A ‘Cabaret’ show to Paula Abdul’s Rush, Rush. Holiday Inn certainly didn’t have that! we were almost convinced it was a real match until the dramatic ending where one climbed the other like a tree, knocked him to the ground, and he was swiftly dragged away. Impressive, nonetheless! 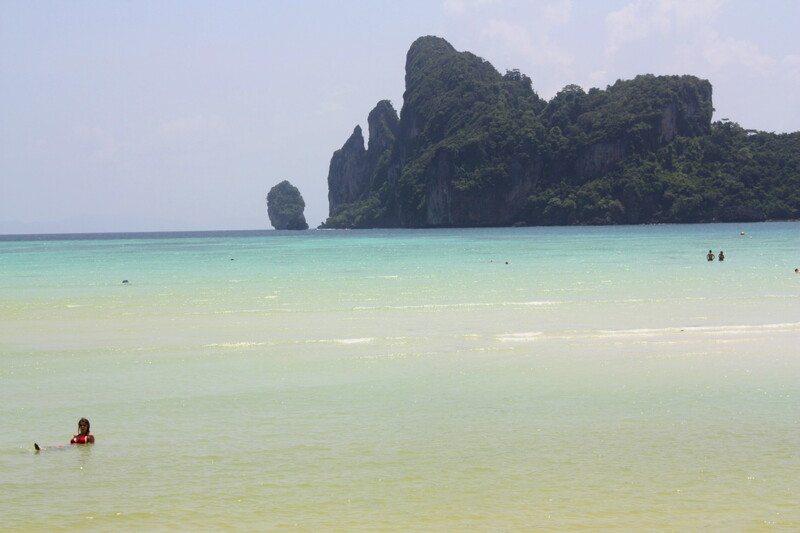 We were sad to say goodbye to Ko Phi Phi but pressed eastward to Ko Samui, a short flight away. It was my first time on Bangkok Air- they not only served us a meal for a 40 minute flight, but they put is in the very front row– something about a “softer landing for the pregnant lady.” It was a striking difference from Air-ghetto-Asia that demanded I sign a waver saying I wouldn’t sue them if anything happened to my baby from a rough flight! 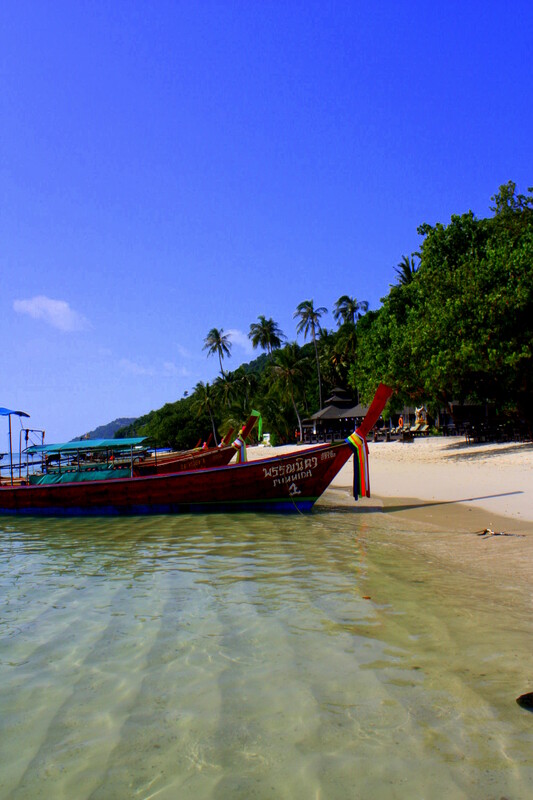 We stayed four nights at the Buri Rasa Village on Chewang Beach in Ko Samui. 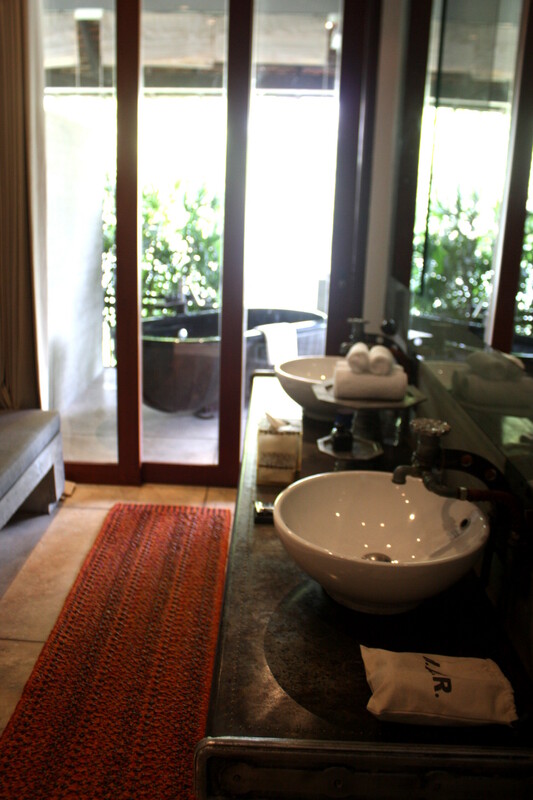 This was another TripAdvisor score- the place was beautiful and possibly the best deal we’ve ever had on a hotel. Since it was low season, they surprised us by upgrading us to a family suite. 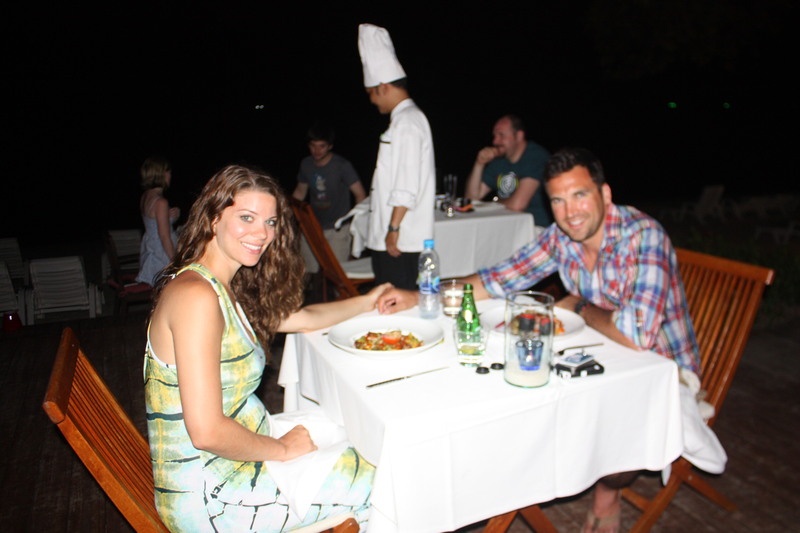 The place also had a fantastic beach and amazing food which was good news for the disabled Pattons! At some point, we got our second wind and pulled ourselves together for some excursions- thanks to Yui, the sweet front desk lady who was so good to us on this trip. 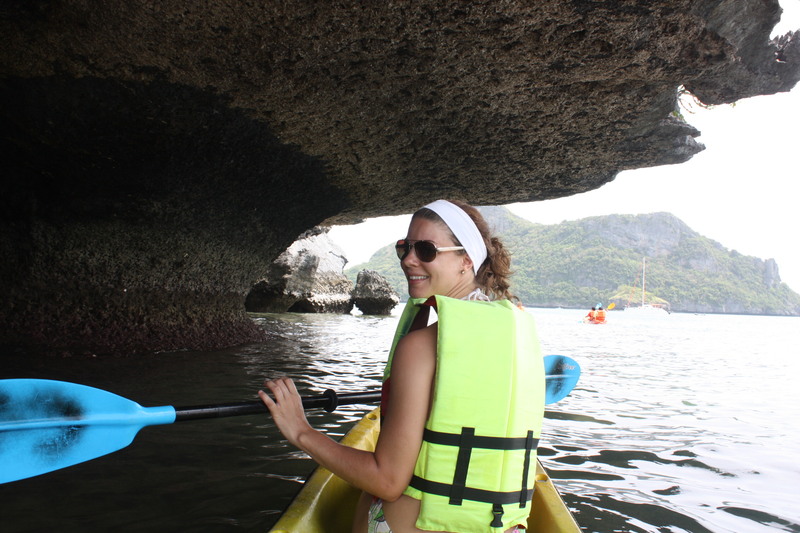 On 2 separate day trips, we kayaked and snorkeled at the Ang Thong National Marine Park and the island of Koh Toh. 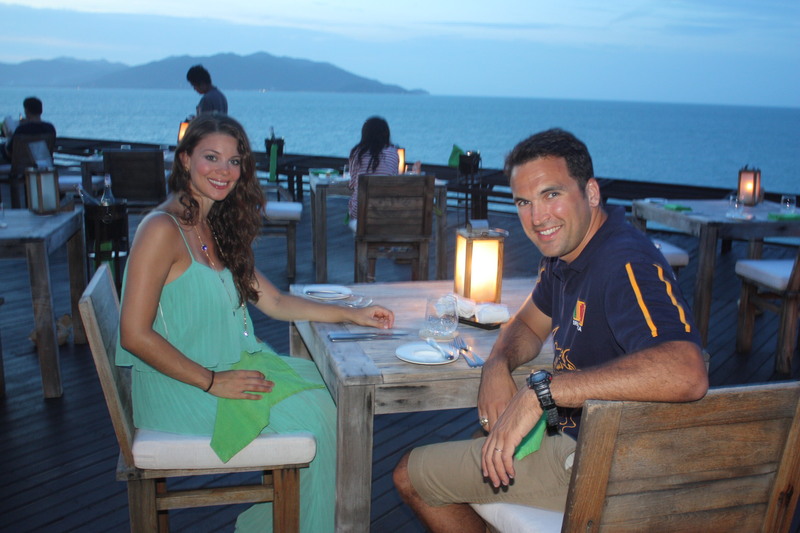 On our last night, we had a special dinner at the Dining on the Rocks restaurant at the Six Senses in Koh Samui. 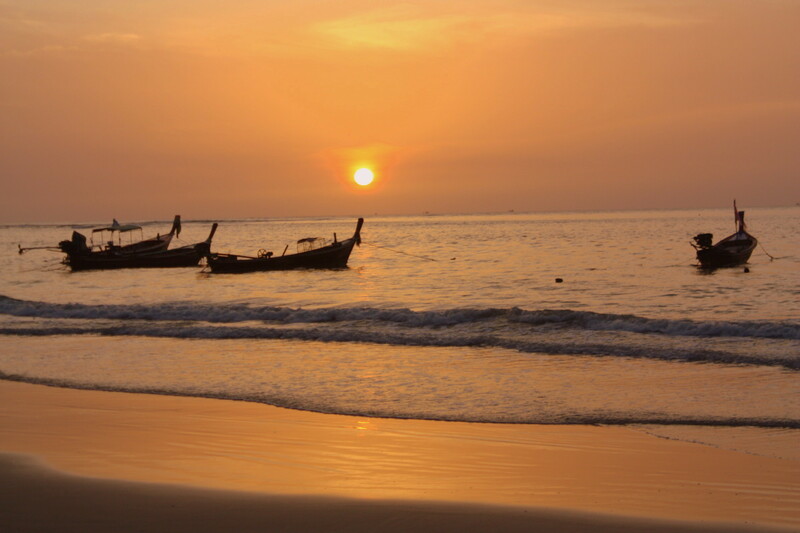 It’s set up on a beautiful hill overlooking the Gulf of Thailand. So pretty, and the air felt least 10 degrees cooler up there! 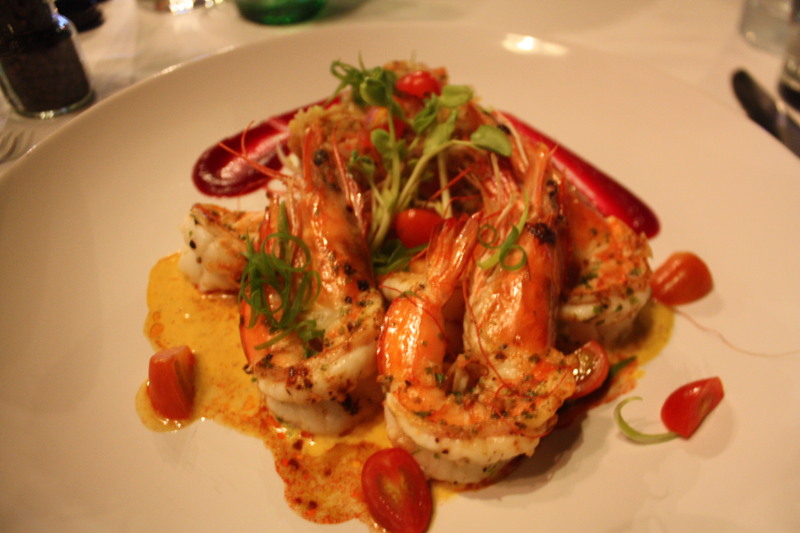 The in-flight magazine on Bangkok Air (Fah Thai) told us that this restaurant kick-started the ‘haute cuisine revolution’ on Samui and we were curious. 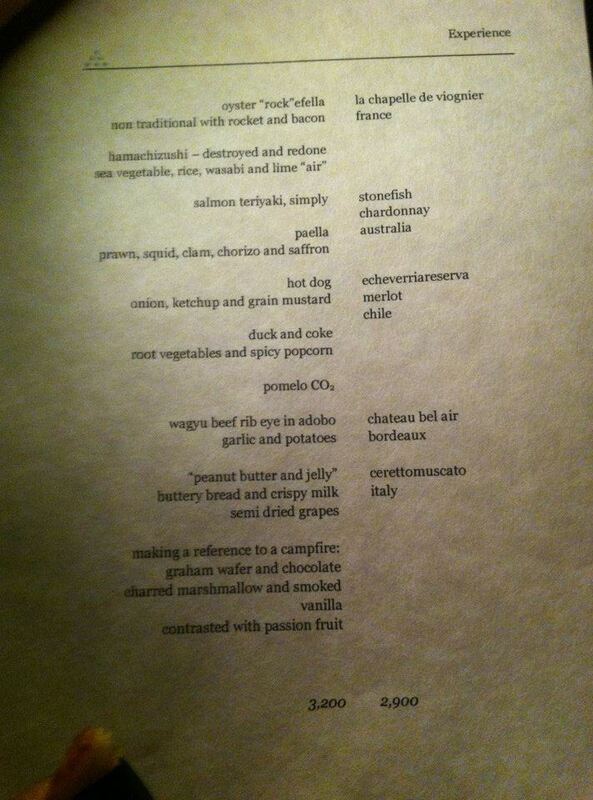 The menu’s preface told us not to take the menu options literally, that the traditional dishes were deconstructed and reassembled. 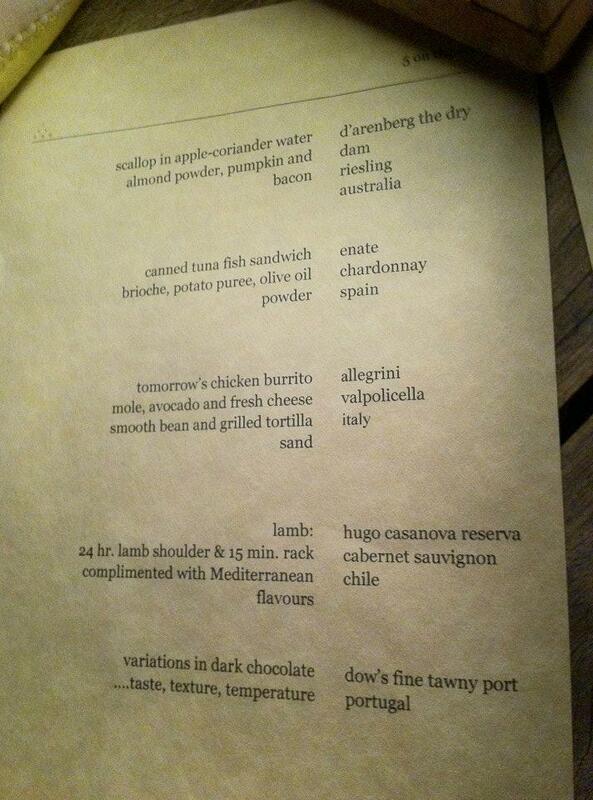 Travis went for the big one called “The Experience”- with 10 interesting courses accompanied by 5 different wines. Travis has voluntarily not been drinking so much since I’ve been pregnant, but this was a special night and he needed to indulge. Still… I was not too overjoyed about the prospect of watching him drink 5 glasses of the good stuff under my nose, while I sipped on water and grapefruit mocktails! For the first time in my pregnancy, I had a little drinksie. Please don’t judge- I indulged in half a glass of Chardonnay over the course of 3 hours. I was trying to really savor it, but it was so hot and sweaty before I could finish, it was almost not even worth it! We were sad to say goodbye and I was unsuccessful at convincing Travis to go AWOL and live in Thailand for bit. 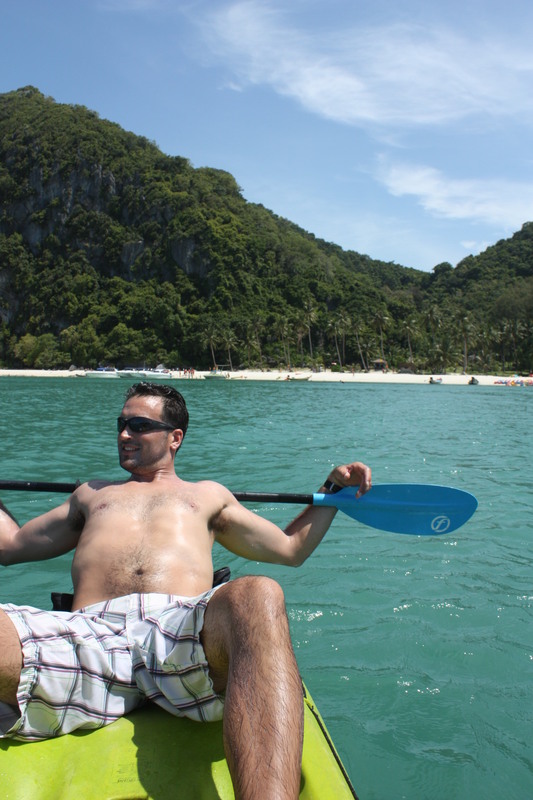 If we ever come back for a beach trip, we’ll probably do just Phuket or Ko Phi Phi because the beaches were the most beautiful and it’s the easiest place to reach. Oh, and an update on my Space-Available travel experience: The rotator to Singapore was an entirely different experience this time! I was so nervous to fly on this plane again. For those of you who don’t know, the last time I flew on this plane returning from Singapore, almost a year ago, I had an injury that I still feel in my back. The plane hit a big pocket of nasty and I was thrown into the ceiling from a sound sleep. Felt like the impact of a car accident. There were only 6 passengers on the plane, and 2 of us didn’t have on our seat belts- me and a sweet lady named Elizabeth from Yokosuka Naval Base who I had gotten to know before the flight because we were the first at the terminal at dark o’thirty that morning. Elizabeth hit so hard that she fell into the aisle and was unconscious. After 2 hours over the ocean, we did an emergency landing in Okinawa to drop her off. It was so upsetting for the rest of the passengers to see the very cavalier attitude of the pilot (who did not even declare an emergency and we waited what seemed like forever before the paramedics came on the plane). Then we overheard him say to somebody on the runway that we had “mild turbulence”. I don’t think knocking somebody unconscious should be classified as ‘mild’, and so upsetting for the passengers who were with her for 2 hours trying to get her to wake up and keeping her still. This is not a military plane- it’s a contracted company hired by the Air Force, with full service and flight attendants who are responsible for waking up passengers to insure they have on their seat belts if we’re going through rough air. And with only 6 passengers to look after, some heads obviously rolled from this accident because it was a different experience this time. With every slightest bump, the captain (a different one this time) would throw up the seat belt sign and the flight attendants were checking every single person. I’ve wondered what happened to Elizabeth and have no way of finding out, so I asked the flight attendants if they knew. Their response was that she was in a coma for 2 days before waking up and the accident is “still being investigated”, but they wouldn’t tell me anymore. Knowing how much pain I was in and even still feel it sometimes almost a year later, I can’t help but wonder if Elizabeth broke her neck on the center aisle TV that she hit? I hope and pray that she is okay and doesn’t have any lasting injuries! If anyone out there knows Elizabeth and her whereabouts, I’d love to know if she is okay! All of this to say it was a much better experience this time, a new (more attentive) crew, and my confidence has been somewhat restored to fly on this plane. That’s all for today; if you’re still reading- thanks! 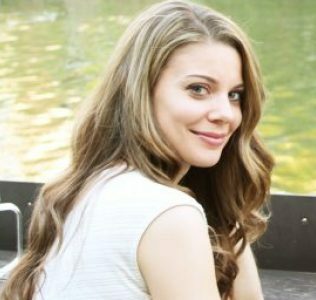 Hi Natalie, saudades! Have you received your order? It was very difficult to send, rs, excuses, problems in mail service here. How is pregnancy? And the baby? Kisses!